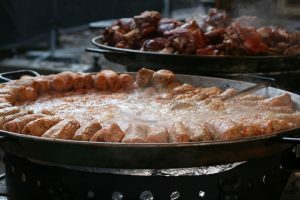 The sure way to tell Christmas is approaching in Hungary is when the cukrászdas begin stockpiling bejglis. 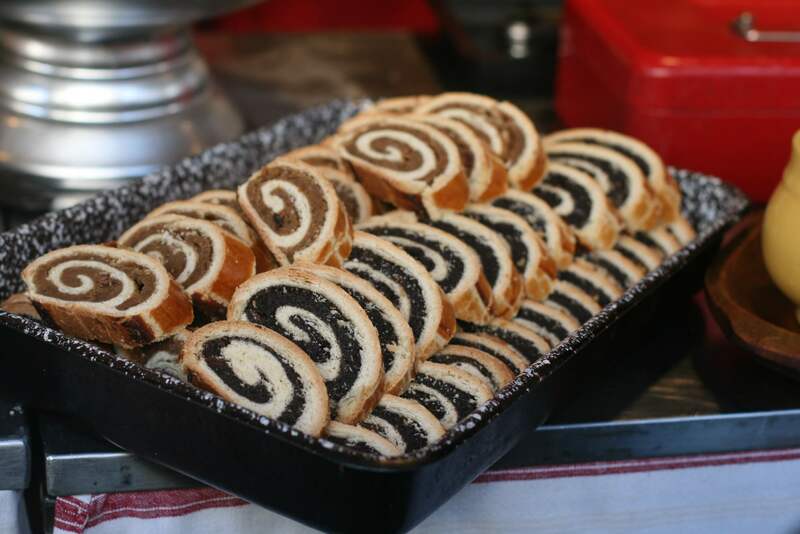 The bejgli—made of yeast-raised dough, which is stretched thin, filled with either poppyseed or ground walnut filling, and rolled into cylinder shapes—is the essence of Hungarian Christmas. 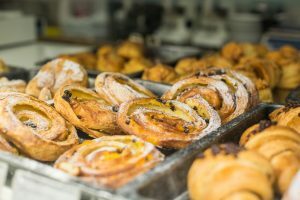 Grandmothers bake dozens of them every year, and if you are lucky you’ll receive several as gifts from loved ones, relatives, friends, or colleagues. Luckily the glistening cakes hold well for weeks (which comes in handy when you receive more than you can possibly eat). 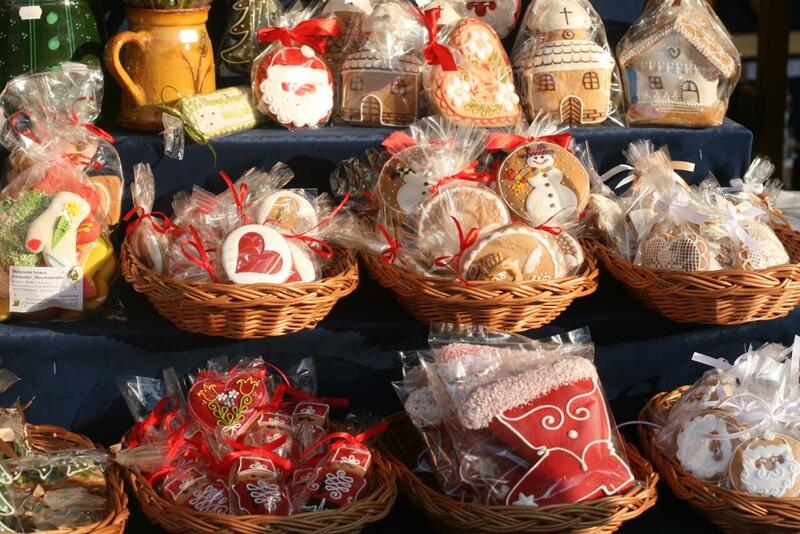 In Hungary, bejgli is the essence of Christmas, a taste memory which is anticipated all year long. 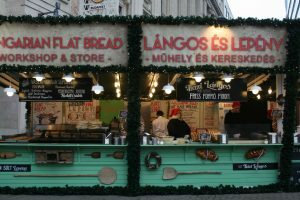 Around the time when bakers start selling bejgli nearly as fast as it comes out of the oven, many of Budapest’s squares are filling up with Christmas markets. 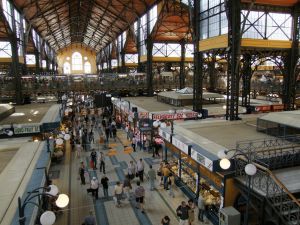 The Christmas Market at Vörösmarty tér is no longer the only one to visit. Budapest’s Christmas markets have been growing every year (in size, number, and variety), and have become part of the winter-time experience in the city. 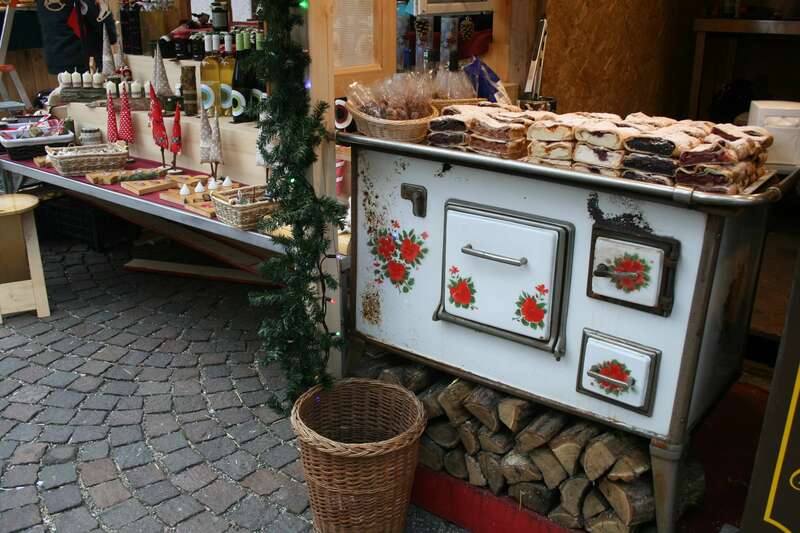 Add vendors selling hot roasted chestnuts and the scent of mulled wine (forralt bor) wafting through the street, and it makes this season one of the best times of the year to visit (if you can handle the cold). The Christmas season kicks off in Hungary with Mikulás-nap (St. Nicholas Day) on December 6th when children polish their shoes and set them on window sills in the hope that Miklós will fill them with small goodies during the night. For those who’ve misbehaved during the year, Mikulás’ helper, krampusz (a scary character who looks like a cross between a demon, a monster, and an elf) will instead leave switches. 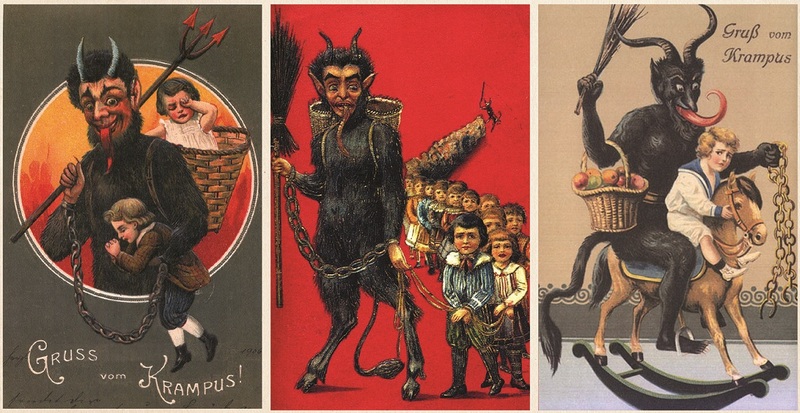 Often, krampusz will also leave switches for the well-behaved children—as a warning. In Hungary Santa Claus doesn’t arrive during the night of December 24th. Rather, Jézuska (baby Jesus) and his helpers (the angels) come on the evening of the 24th. 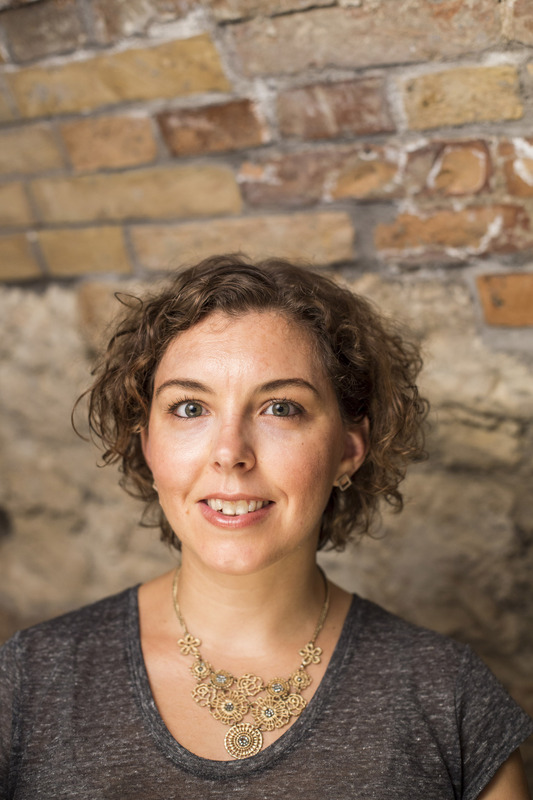 Jézuska does more than just drop off presents for good children. He also brings (and decorates) the Christmas tree (with some help from the parents). Typically, children are banished from the living room (or taken out of the house for some Christmas visiting or fun) while the angels and Jézuska do their work. When they return, many families will eat their Christmas dinner—letting the excitement level slowly rise— until the angels ring a bell. Then the children run in to check out the spectacle of the fully-decorated and lit tree. Sparklers are lit and the traditional Christmas tune to sing together is Mennyböl az angyal. No Hungarian Christmas tree is complete without a generous selection of szaloncukor, pieces of fondant or chocolate filled with marzipan or other ingredients and wrapped in colorful foil wrappers. 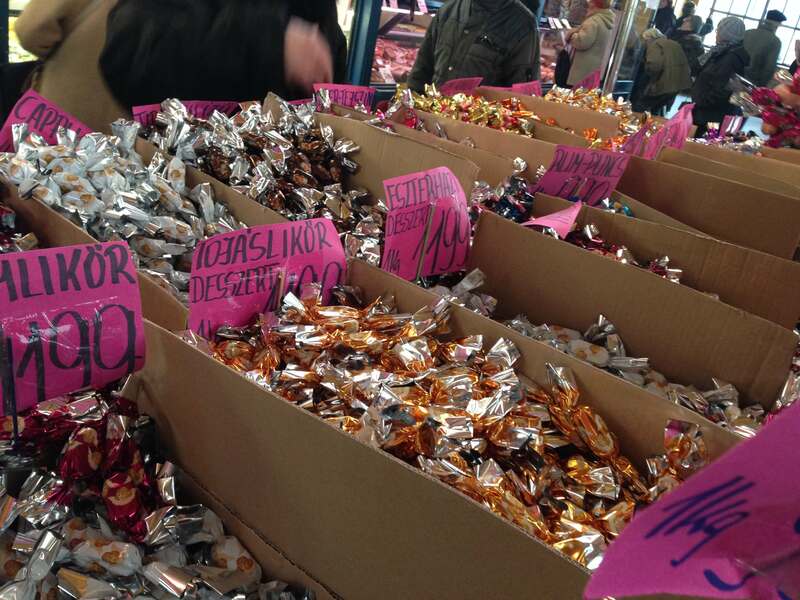 In the weeks running up to Christmas it’s sold everywhere, by the kilogram from street vendors and at fancier shops and bakeries. It’s customary to abstain from meat on Christmas Eve, so Christmas Eve dinner revolves around fish. 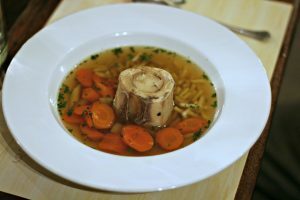 While every family has its own traditions and favorites, the meal most often starts with halászlé (fisherman’s soup), followed by whole roasted fish or breaded carp and potato salad. 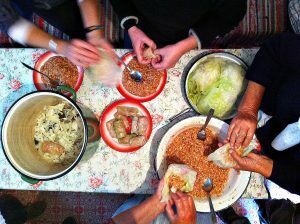 A Christmas day dinner is often stuffed cabbage with sour cream, but it could be anything from roasted duck to turkey. If you’ve had enough beigli at this point, dessert could be mákos guba (bread pudding flavored with honey and poppy seeds). Whatever the meal, there should be plenty of sparkling wine for toasting and celebrating. 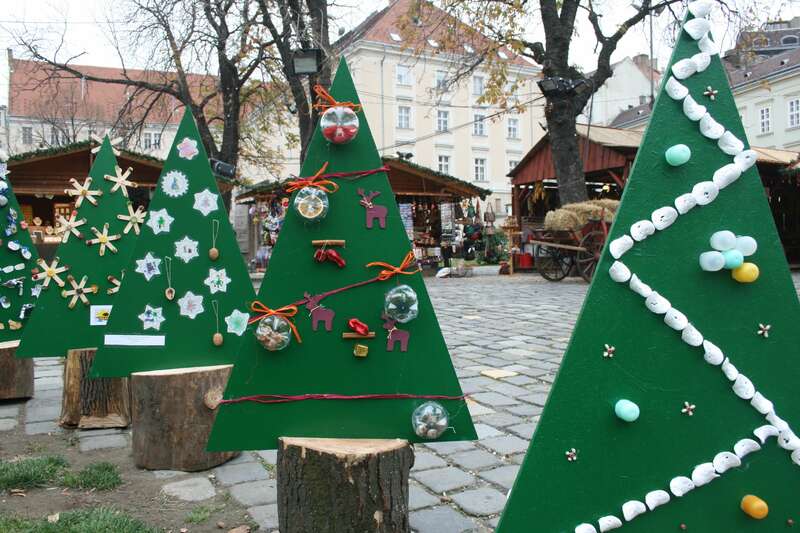 Want to learn more about the Christmas holiday traditions in Hungary? 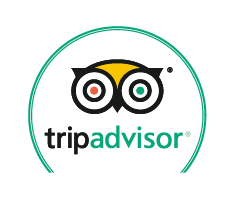 Join our Christmas Market & Food Tour to taste holiday foods and learn about the traditions, while visiting some of Europe’s best Christmas markets.